The Bahrain Center for Human Rights is among fifteen campaigners who today raised alarm over the suspension of Bahrain's only independent newspaper, Al Wasat, which has been barred from publishing for four days now. The fifteen rights groups which today wrote letters addressed to ten countries including the UK, state Bahrain is "effectively silencing the media in Bahrain and violating the right to freedom of expression." The letters, signed by Reporters Without Borders, Committee to Protect Journalists, Article 19, Index on Censorship, Bahrain Institute for Rights and Democracy and ten others wrote to states urging them to "publicly call on the Government of Bahrain to allow Al Wasat to resume publication immediately." 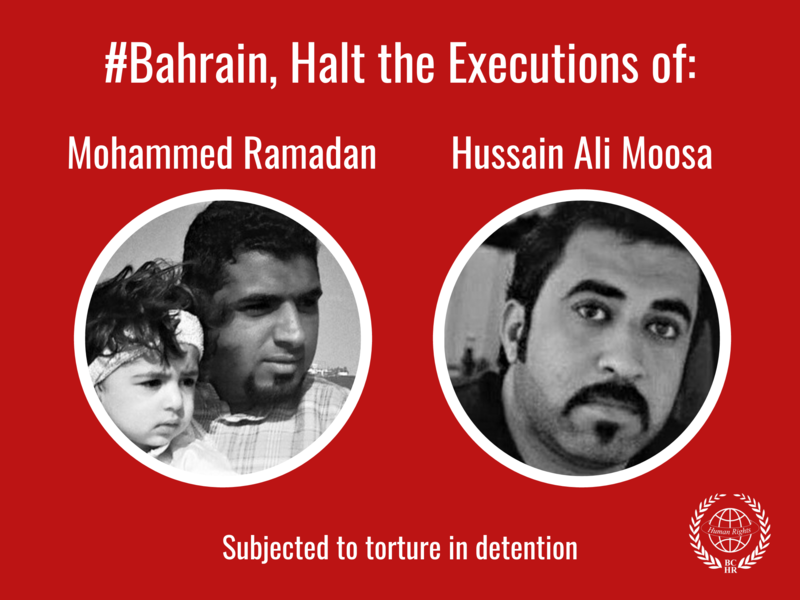 The letter is addressed to the United Kingdom, United States, Germany, Italy and France - who all have embassies in Bahrain - as well as Ireland, Norway, Denmark, Sweden, Finland and the European Union. The Ministry of Information Affairs suspended Al Wasat, the only independent newspaper in Bahrain, on 4 June 2017, effectively silencing the media in Bahrain and violating the right to freedom of expression. Al Wasat’s suspension is the latest in a recent spate of reprisals against independent media and civil society actors, including journalists, writers, and human rights defenders. The state-run Bahrain News Agency claims that the paper is "spreading what would stir divisions within the community and undermine the Kingdom of Bahrain's relations with other countries." Al Wasat was suspended due to the publication of an opinion article regarding widespread protests in Morocco, a source in the newspaper told BIRD. This is the latest in an escalated crackdown on independent civil society. On 23 May, Bahraini security forces raided the village of Duraz, killing five protesters and arrested 286. It is the deadliest incident since protests began in 2011. On 31 May, the last major opposition society, Wa'ad, was dissolved and their assets confiscated. Wa'ad is appealing the decision. The letter continues, "In this context, journalists in Bahrain have expressed to NGOs serious concerns that the newspaper will not be allowed to resume publication." Al Wasat, established 2002, is the only independent newspaper in Bahrain. Its editor Mansoor Al-Jamri is winner of the CPJ International Press Freedom Award in 2011 and winner of the Peace Through Media Award 2012. It has been suspended in previous years, in April 2011 and August 2015. In January 2017, the newspaper's website and social media were suspended for two days. it In 2011, Abdulkarim Al-Fakhrawi, one of the paper's founders, was tortured to death in police custody. Cat Lucas, Writers at Risk Programme Manager, English PEN: "By silencing the only independent newspaper in the country, the Bahraini authorities are sending a clear message that dissenting voices will not be tolerated. Our governments must send an equally clear message that the suspension of Al Wasat is unacceptable and that a plurality of voices in the media is an essential part of any democracy." Melody Patry, Head of Advocacy, Index on Censorship: "The silencing of Al Wasat – the only independent voice in Bahrain's media – underscores the dismal state of human rights in the country. 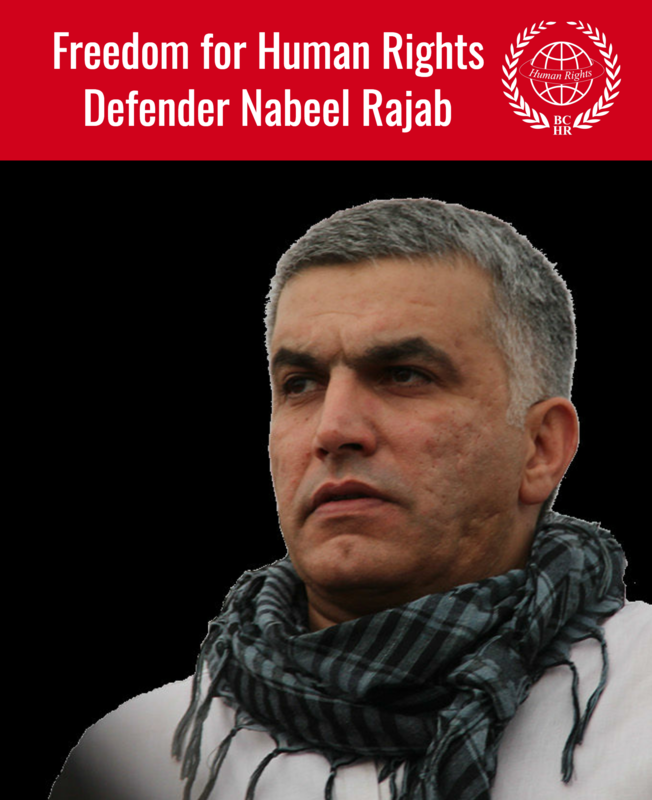 The Bahraini government must allow free and unfettered access to information." "Bahrain is experiencing a severe crackdown on freedom of expression. Now is the time for the international community to speak up to defend fundamental human rights, in particular the right to freedom of expression, which is crucial for promoting stable, pluralistic democratic societies," said Saloua Ghazouni, Director of ARTICLE 19's Middle East and North Africa regional office. We are writing to urge your government to call on Bahrain to end the arbitrary suspension of Al Wasat newspaper. The Ministry of Information Affairs suspended Al Wasat, the only independent newspaper in Bahrain, on 4 June 2017, effectively silencing the media in Bahrain and violating the right to freedom of expression. The newspaper’s suspension comes after an escalation of reprisals against civil society, and the killing of five protesters by Bahraini police in May. Al Wasat’s suspension is the latest in a recent spate of reprisals against independent media and civil society actors, including journalists, writers, and human rights defenders. In this context, journalists in Bahrain have expressed serious concerns that the newspaper will not be allowed to resume publication. The suspension comes days after the decision to dissolve Wa'ad, the last major opposition party on 31 May and the raid on Duraz village on 23 May, when five protesters were killed by Bahraini police and 286 arrested in the deadliest policing incident in King Hamad’s reign. Human rights defenders have also been subjected to harassment, torture and sexual abuse in the past weeks. The Bahrain News Agency reported "The Ministry of Information Affairs suspended Al Wasat newspaper until further notice following its recurrent violation of the law and spreading what would stir divisions within the community and undermine the Kingdom of Bahrain's relations with other countries." This accusation relates to an editorial about ongoing protests in Al-Hoceima, Morocco. Prior to the suspension of Al Wasat, Bahrain was already counted among the 20 most restrictive countries for press globally, with Reporters Without Borders ranking Bahrain 164th out of 180 countries in its 2017 World Press Freedom Index. In April, the Committee to Protect Journalists, Reporters Without Borders and five press freedom groups and media outlets expressed concern over the “seeming attempt to silence independent reporting within the country” by refusing to grant accreditation to Bahraini citizens who report to foreign and independent media, including the Associated Press, Agence France-Presse, France 24 and Monte Carlo Doualiya. Bahrain’s print media consists of five major Arabic-language daily newspapers. Of these, four are strongly pro-government and are owned by figures associated with the government. Al Wasat is the sole exception. Established in 2002 during a period of reforms, Al Wasat takes a critical editorial line and is financially independent of the state. Its editor Mansoor Al-Jamri won the CPJ International Press Freedom Award in 2011 and the Peace Through Media Award in 2012. It is not the first time that Al Wasat has been suspended. In January 2017, the newspaper was barred for two days from publishing online, though the print version was allowed, following a front-page story on the executions of three individuals. All three individuals were torture victims who had been sentenced to death following unfair trials. The Office of the United Nations High Commissioner for Human Rights said it was “appalled” by the executions. In August 2015, the newspaper was shut down for two days, allegedly because they did not refer to Bahraini casualties in Yemen as "martyrs". In April 2011, in the middle of the March-June 2011 State of Emergency, the government suspended Al Wasat for one day. Karim Al-Fakhrawi, a co-founder of Al Wasat, was arrested on 2 April 2011 and tortured to death in police custody. The suspension of Al Wasat muzzles the media, unduly restricting the right to freedom of expression and opinion. As the only independent newspaper in Bahrain, its suspension removes a key voice for public discourse and denies the public the right to access information and diverse views. In the context of current, severe human rights violations occurring in Bahrain, calls for the resumption of the only independent newspaper and the respect for freedom of expression and opinion urgently need to be heard and acted on. We, the undersigned, urge your government to publicly call on the Government of Bahrain to allow Al Wasat to resume publication immediately.